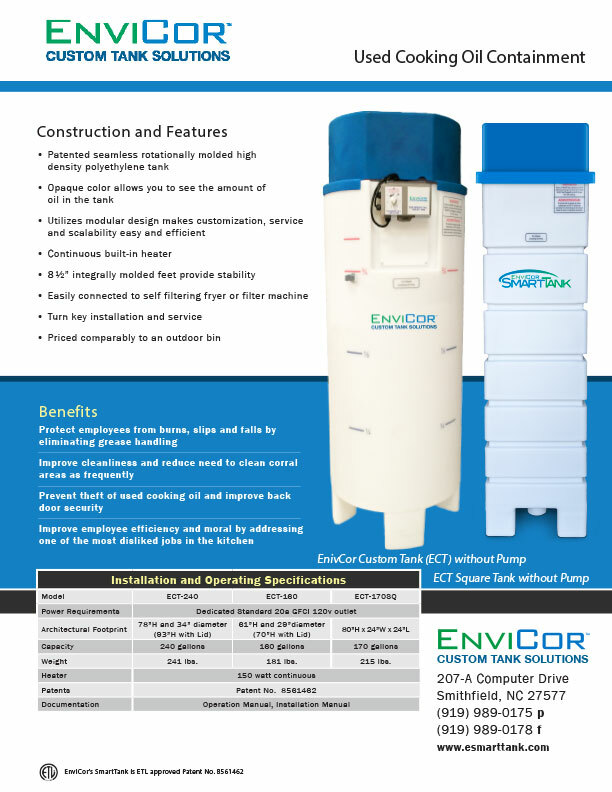 Eco of Idaho does more than just oil collection and grease trap pumping. We can also provide you with an indoor tank that is safer and less messy than your current setup. 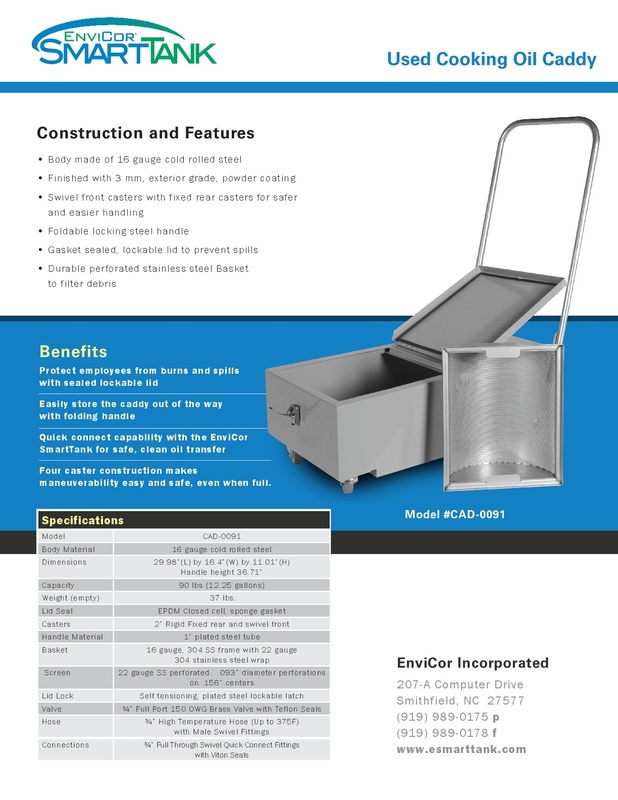 Envicor Indoor Tanks come in a variety of sizes and configurations (see photo of the 24x24 tank, which tucks nicely in a corner or between shelves). Our team can assess your needs and recommend the best tank for your kitchen or store. Professional: These tanks are streamlined and tidy, giving your back of house a crisp, polished look. Safety: These tanks prevent the need for your staff to shuttle hot grease outside- late at night or in icy conditions, etc. Eco of Idaho strives to bring our customers the latest technology to help make your business run smoothly. 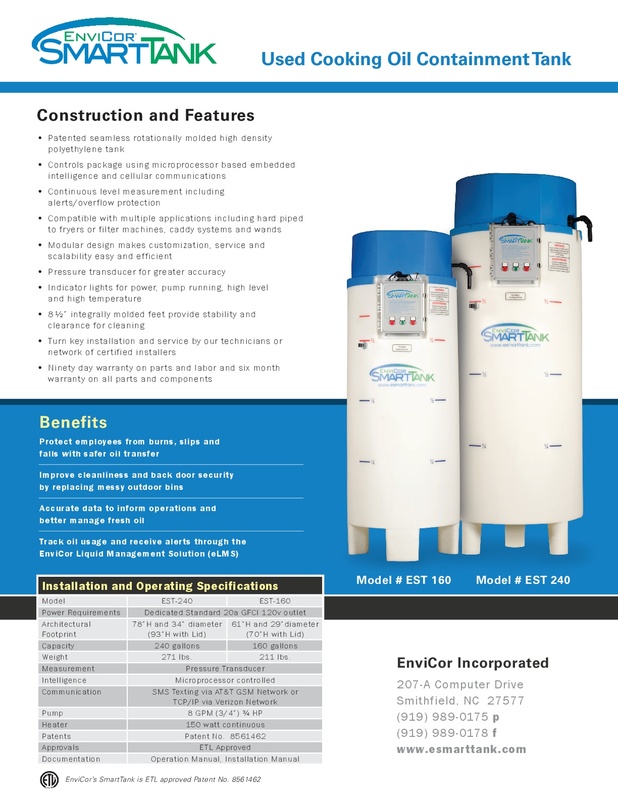 These Envicor Indoor Tanks are clean and safe indoor tank options. Call us today and ask us which is the best tank for you!